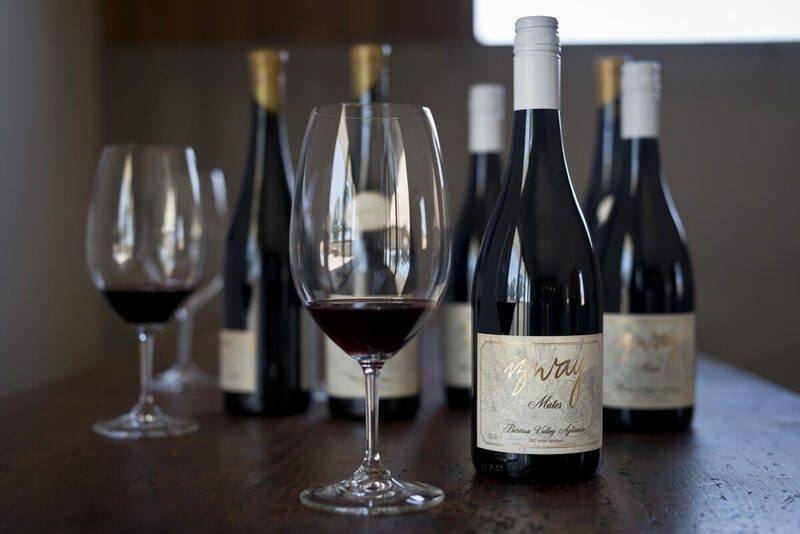 The first wine ever made by Izway Wines was in 2003 it was just one barrel of wine and we called in Bruce. The following vintage we decided Bruce needed some Mates and our second wine was born. The original idea of Mates was to replicate the style that we saw made in Beaujolais, but with grapes that were relevant to our own region in the Barossa Valley. We deliberately didn’t list the varieties on the front label as we wanted to be flexible with what we could use, and we wanted this to be more about a style than a certain blend. Our first release of Mates was in 2004 and the wine was made from Grenache, Shiraz and Mataro and the wine is still a great drink to this day. As our personal drinking preferences evolved over the years, we began to make this a fresher, lighter style, eventually dropping the Shiraz and making the wine predominantly Grenache with a bit of Mataro thrown in. In 2014 we made the wine from Aglianico and Mataro and the 2018 Mates is the first release of this wine being 100% Aglianico. This seems a world away from the original bottling, but the evolution seems natural and unforced, the grape appears to suit the philosophy and style and in many ways is more suited to what we wanted to achieve. The natural tannin and acid in the grape means that we can be more minimal with our winemaking, to the point where a small addition of preservative has been the only outside influence on the wine. Aglianico also maintains an incredible freshness, is layered and detailed and creates a drink that evolves in the glass. I think there are too many wines that focus on drinkability and sacrifice charm and curiosity. A good drink is one that makes you think every sip and leaves you surprised by how quickly your glass empties. I hope that this is what we have achieved with the 2018 Mates. I am unsure where this journey will take us next, but I can guarantee that this wine will always be about creating a discovery for people willing to take a chance and to try something outside of the traditional varieties and styles. Sipping wine by yourself can be one of life’s greatest pleasures, but sharing with Mates is far more entertaining. From ancient Greece to southern Italy to the Barossa, Aglianico is a little-known variety with a very long history. Each vintage of this wine is dedicated to the people who have inspired, influenced and entertained us – our mates. Made in a Beaujolais style from 100% Aglianico, Mates is layered and intriguing.